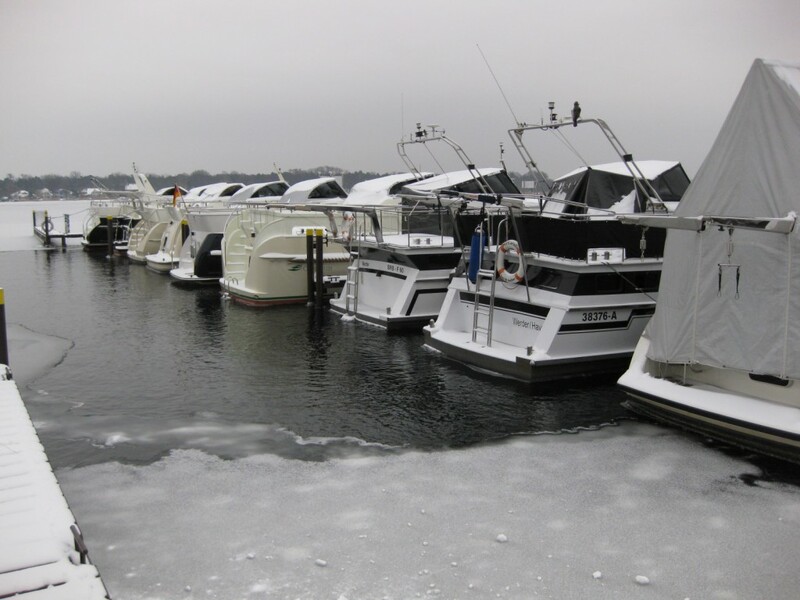 Protection of marinas, ferry docks, fairways, locks and water withdrawal facilities from ice buildup damage. Ice prevention systems which prevent ice damage to hydraulic structures. For example: Bubble curtains around docks and ports prevent those from taking damage through ice pressure. Installation and operation of such bubble curtains is far cheaper than the construction of winterized facilities. Compressed air bubble curtains are being created by laying perforated hoses or pipes on the ground of waterbodies and applying compressed air. The bubbles, rising through the perforations, carry water to the surface. 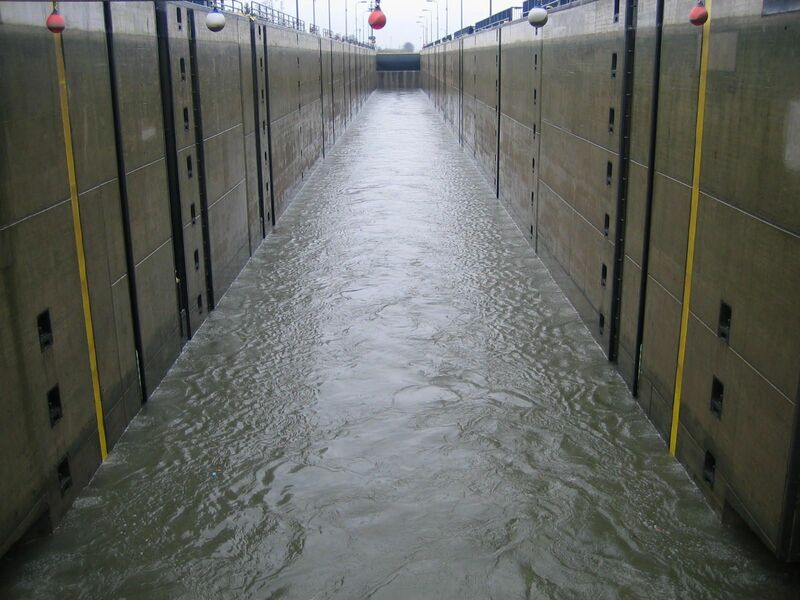 Water reaches its highest specific density at + 4°C (+ 39°F). 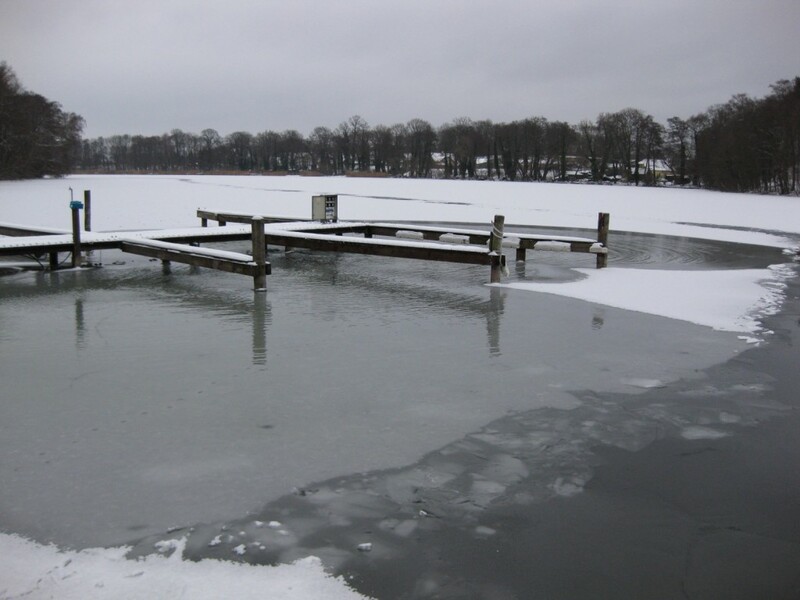 Standing bodies of water seek this temperature level with greater depth, even in winter when the surface is frozen. 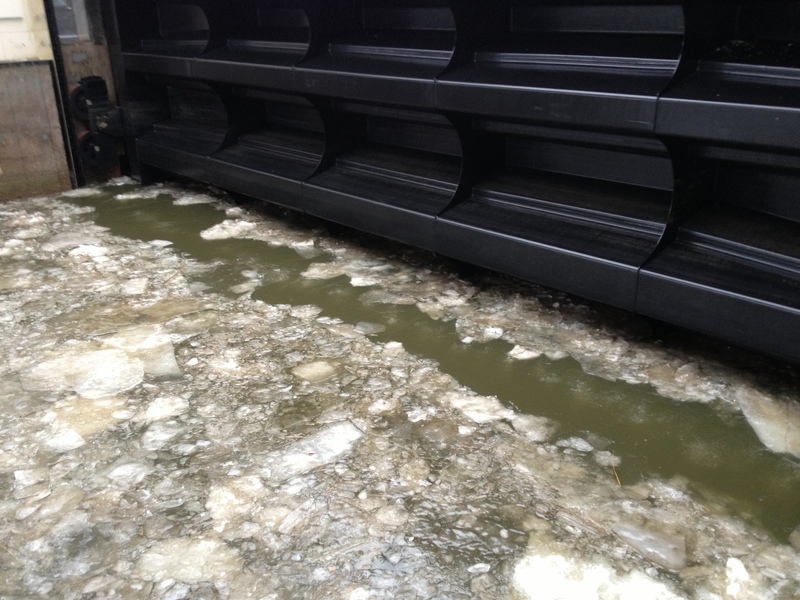 Therfore, the rising bubbles transport warmer deep water from the ground to the surface, where it prevents ice buildup. The diameter of the perforations, their distance to each other and diameter of the hoses/pipes are assessed utilizing computer-based calculations. This enables individual designs according to the conditions on site (for example even or varying air streams). 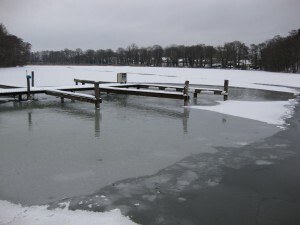 The temperature regulation of a waterbody is important for sizing an ice prevention system. 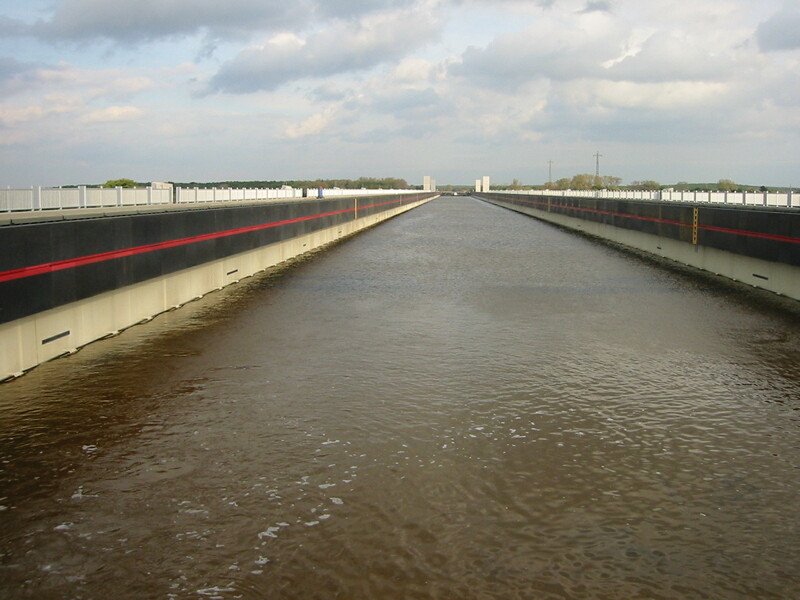 It has to be constructed in a way in which the heat transfer between ground and surrounding water layers runs substantially slower than the heat transfer between surface and atmosphere. The compressed air flow (i.e. 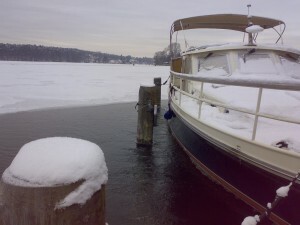 the transport of warmer water) can only be as big as is absolutely necessary to prevent the build-up of ice. This ensures that the available warm water is not depleted.